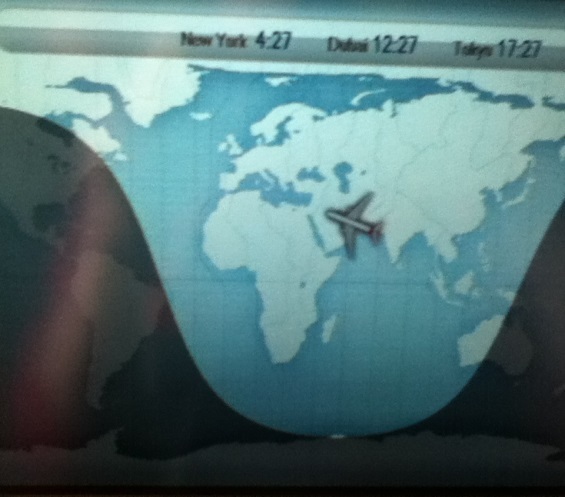 Well we have arrived, the jet lag has set in and no time to sit down and rest. Dubai was an amazing city, it seems as though everything has to be made in monster form! The weather was hot and humid which reminded me much of Queensland back home. I had mixed emotions whilst being in Dubai; it was a very quiet city compared to Melbourne which made me feel relaxed and calm. However I had a constant feeling of anxiety in the back of mind of always worrying was I doing something wrong? Being a young female foreigner in the UAE meant we received a lot of stares from the local men, unlike men in Australia they did not hold back on the way they felt! In saying this though my experience of Dubai was pleasant, though many people did not say much they were polite and helpful if needed. I expected Dubai to be a city completely different to any in Australia, and the magnitude of their buildings supported this expectation, however it was still very westernised and seemed to still be trying to figure out what its identity is. 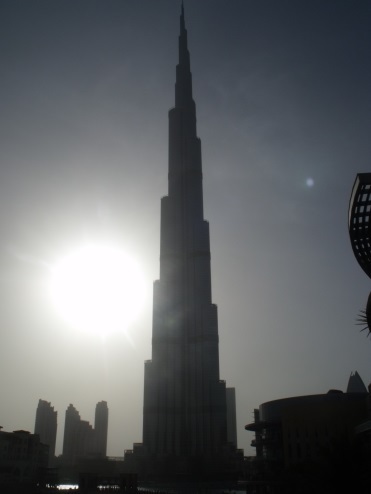 Myself and another student are excited to travel back to Dubai on our way back to Australia as we have been given a taste of what to expect and now when we go back we can experience in more depth like climbing the Burj Khalifa and embark on a journey throughout the 1,200 shops in Dubai Mall! Today is the third day we have been in Sheffield and so far all my experiences have been positive! My first impression of England was how can a place be so green? Coming from a rural town in NSW that experiences constant drought I could not get my around landscapes being so green! Another impression that I have encountered is the fact it seems that villages and cities like Sheffield are proud of their history and seek to preserve their landscapes and buildings. Again, I compared this to my home town, for example our Town Hall no longer suits its initial purpose so instead of transforming it into another landmark to suit the community there is discussion of pulling it down. I like this the most, the fact that Sheffield is attempting to form its identity around its history of its buildings and its experiences. I wrote in my last blog entry that I thought my impression of Sheffield was very naïve, and I was right! I expected a run down city that had no vibrancy or atmosphere, instead I am very impressed with what I have seen and experienced so far. The streets are filled with mixed age groups, buildings are under development and there is pride taken by the city in regard to their history and this is implied through the number of mueseums and areas around the city. 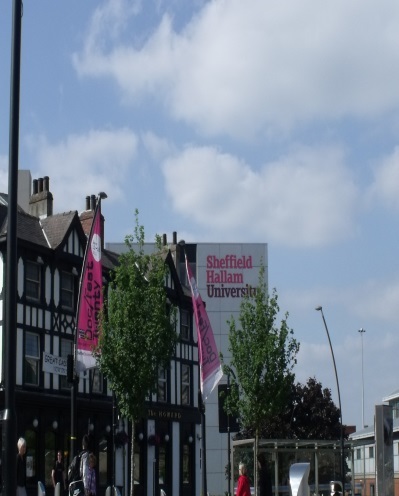 One of my favourite aspects of Sheffield right now is the openess and cohesiveness of the CBD, I like how the university does not disconnect itself from city instead it invites all community members to take part in the experience. I understand that this cohesiveness is not present throughout the whole city, there are areas that need attention and further development. It seems Sheffield is a city that has a very diverse sense of identity, and I have not decided if this is positive or negative? However, I am leaning towards positive. In my first assignment I noted that I would be interested in researching if the perception of Park Hill Estate would change within local community members due to the re-development taking place by the non-for-profit organisation Urban Splash. After talking to a number of students and receiving advice from a Park Hill tenant not to buy into the area it seems the opinion towards the estate is still quite negative. Personally, I feel the re-development is important and I want to understand further if the opinions I have heard are generational or if they feel there are better ways to use this space?